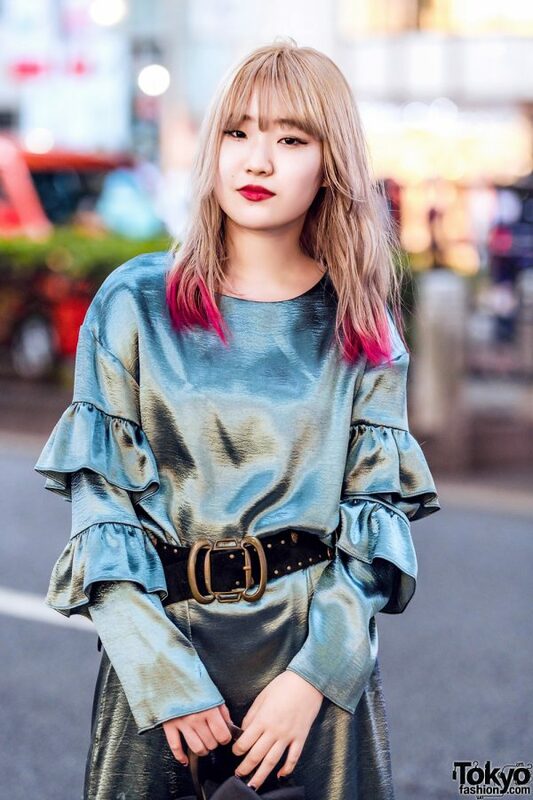 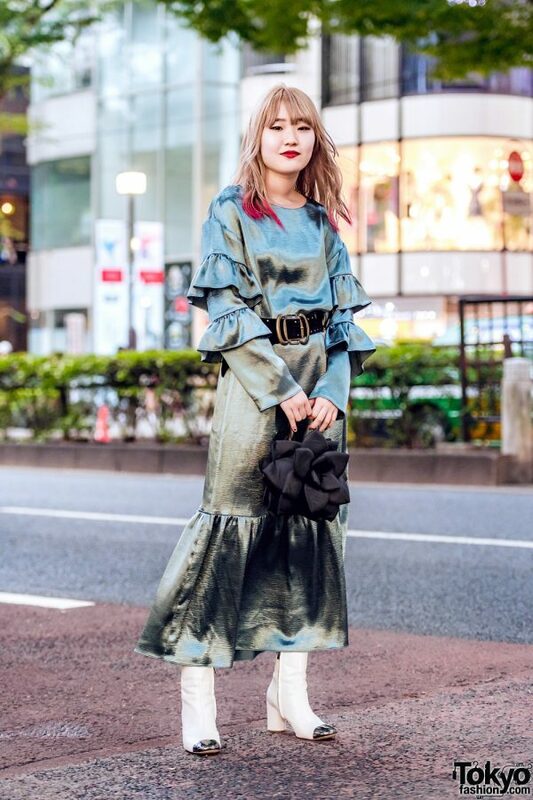 While out on the streets of Harajuku, we came across Nana Miyashita, a 17-year-old student and Japanese fashion designer whose stylish ensemble easily caught our eye. 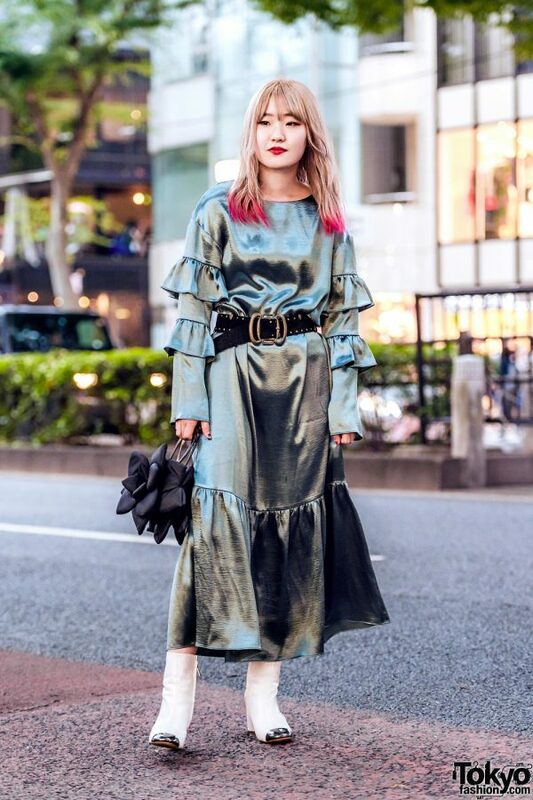 Sporting a blonde hairstyle with red tips, Nana is dressed in an olive green lilLilly satin dress with ruffled sleeves and skirt hem. 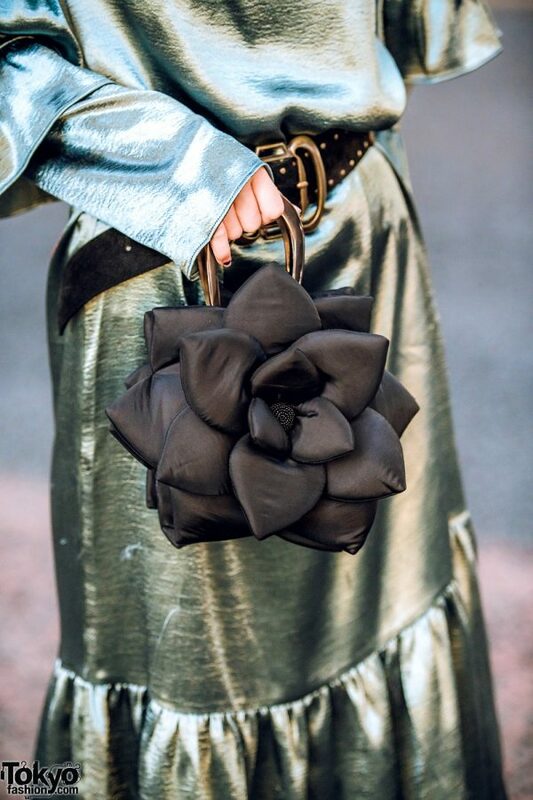 She cinched her dress with a wide black leather belt, slipped into white leather boots with black pointy toes from Zara, and finished off her outfit with a black vintage flower petal handbag with gold top handles. 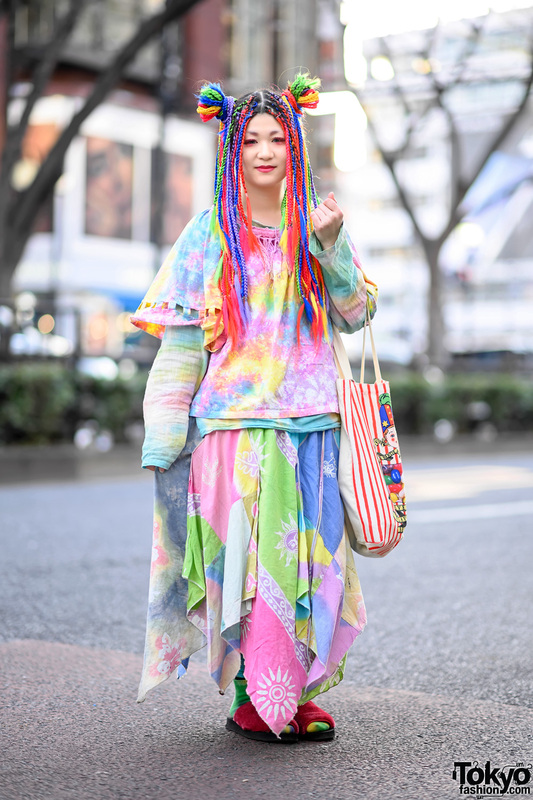 Pameo Pose is one of Nana’s favorite fashion brands. 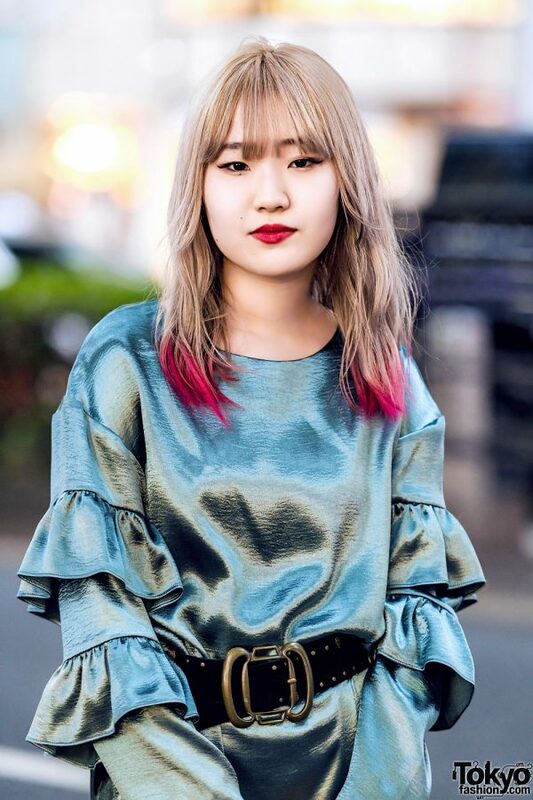 Follow Nana on Instagram, as well as her fashion brand – aNANA tih sayim – on it’s Instagram and official website.